The introduction of New Zealand working holiday schemes for young people in 2001 has seen the growth of Latin American communities in fruit-picking areas such as Central Otago. 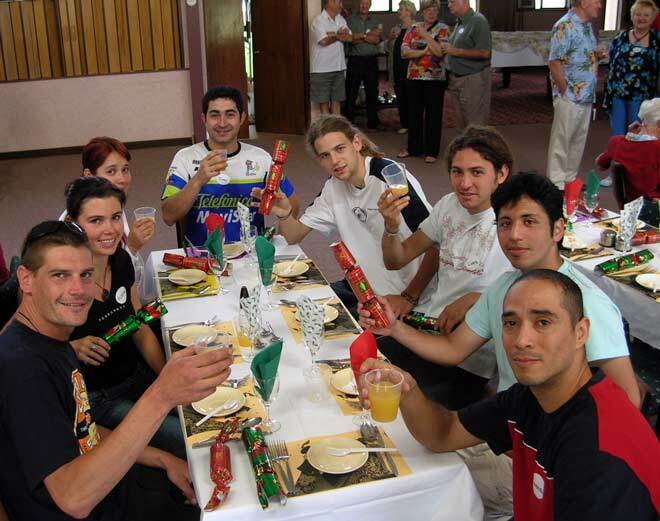 In 2005 the town of Alexandra put on a community lunch for seasonal and tourism workers. Seated around the table are (from left) Lee Cook (from Australia), Alena Pokorna (from the Czech Republic), and Camila Florea, Juan Oliveros, Francisco Loehnert, Luis Engdahi, Victor Larrondo and Gabriel Manzo (all from Chile).